In our Toddler program your child will use their bodies, senses, and emerging problem-solving skills. Learning experiences are designed to engage the natural curiosity and creativity of this age group. We balance individual attention with group experiences and ensure your toddler’s energy is channeled into positive learning experiences. 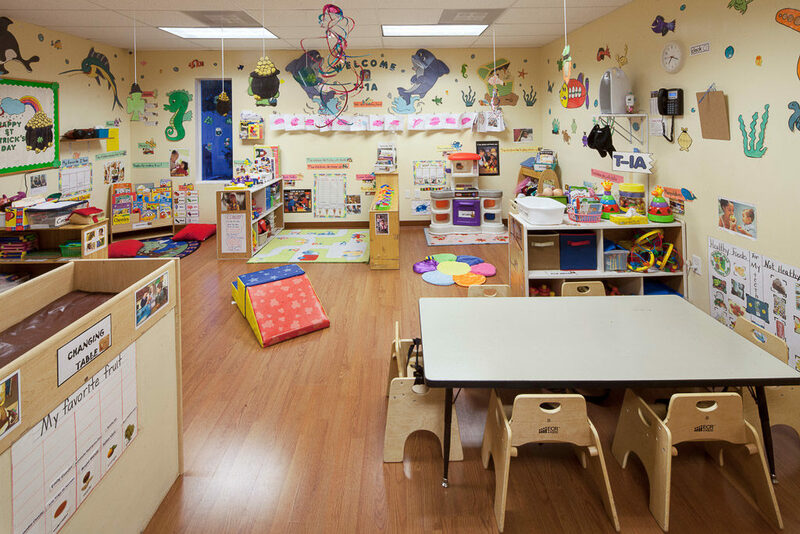 A day in the Pee-Wee/Toddler classroom will begin early in the morning with a fun-to-be-circle time, self-directed activities such as sensory, language development: songs, rhymes, poems, vocabulary games, and fine motor. The day continues in a well-balanced passive-active mode where your child will have fun while learning. Twice a day Interactive reading time becomes a fun part of the day, centers of interest, planned play, and gross motor outdoor play. Building Language/Literacy Skills: vocabulary and language, the sounds and Rhythms of Language, enjoying books and stories, exploring writing. Discovering mathematical Relationships/common core: Your toddler will be engaged in emerging understanding in activities that will cover number concepts, patterns and relationships, geometry and spatial relationships, sorting and classifying. Our classrooms are designed to encourage exploration and promote cognitive, physical, social-emotional, and language development. There are designated areas for playing, learning, sleeping, eating, and diapering, as well as general areas that meet your child’s need to: move, explore and express, relax and learn. Our teachers take great pride and delight in the children under their care and all are certified specialists of this important age group.